In this post named “Beginner’s Guide to Investing in Indian Stock Market”, we will explain each and every step on how you can begin investing in stocks by yourself, even if you have no prior experience. Investing in stock market is one of the best ways to create wealth for long term. The question most investors face while investing in stock market is how to begin? Before you begin, let me tell you, this is not a “get rich quick” method of money making as usually told in various courses that promises to give you a “Secret trick” to immense wealth. Here, we are talking about serious, disciplined, consistent way of making money over a period of time, which requires some home work, planning and patience in order to create wealth. What I can assure you is, if you religiously follow the procedure, and discipline needed, there is nothing stopping you from achieving financial freedom you always dream of. If you are completely new to investing in stock market and have no idea of how and where to start, you have found the right place. The entire post of Beginner’s guide to investing in Indian stock market is divided into four Sections. The first section deals with setting financial goals, assessing your risk appetite and creating a plan accordingly. This section is most important as it helps you understand your needs, find out the exact amount needed, and make a plan accordingly. 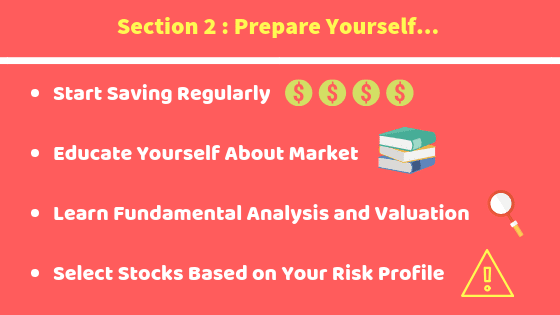 The second section equips you with skills that you need to understand the market and pick the right stocks yourself. In this section, you will also learn how to pick stocks based on your risk profile and allocate assets based on your needs. Once you have learned to pick the stocks, in the third section, you will learn how to build a portfolio, how to track its performance and how to invest in a systematic way so that your losses are minimized while profits keep increasing. The fourth and the final section is the most important. 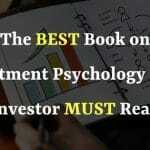 It deals with psychology of investing and the right mindset you need to be a successful investor. I request you to read this section very carefully and follow its principles throughout your investment journey as its something crucial for successful investing but is seldom talked about. No matter how big or small your dream may be, without a specific goal and concrete planning, its of little use. Similarly, while investing in markets, you need a specific goal for yourself. But how does setting a goal make any difference? There are various reasons why you need to have a goal while investing in stock market. Setting specific goals not only helps you understand your financial needs in a better way, but also helps you keep on track of your goals while you are out to achieve them. By making realistic and time bound goals, you can keep track of your financial progress and understand in a better way where you are lagging behind and take appropriate measures to fix them. 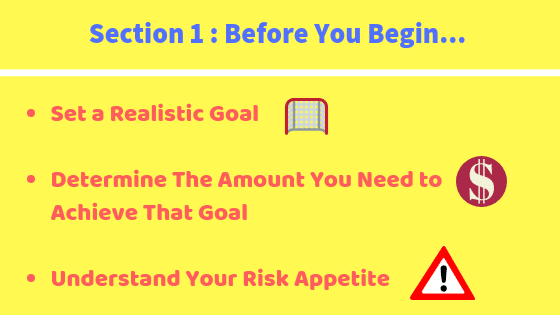 Here are the three steps on how you can set realistic goals and how to determine what needs to be done in order to achieve them? The first step in “beginner’s guide to investing in Indian stock market” is to set a realistic goal. 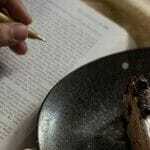 But before we begin the step, you need to understand the basic difference between goal and a wish. Many investors confuse wishing for something as goal. What differentiates goal from a wish? Wishes are more like a daydream and do not have a specific time frame. “I want to be very rich” is a wish as it does not specify the time frame “when”, secondly, it does not tell us the amount at which the person will feel rich. On the other hand, “I want to buy a car worth 10 lac in the next 5 years” is a realistic goal, as it clearly signifies a realistic goal “car”, a specific amount “10 lac”, and a time span within which the goal is to be achieved 5 years”. Setting up a realistic goal with a specific time frame is very basic but a very important step in investing. So, set a realistic goal, something that is rational and achievable, it could be anything such as “owning a house worth 1 crore in the next 10 years” or “funding my child’s education in the next 8 years”. You can have a single or multiple goals. Create list of all those and determine the time frame within which you want to achieve them. For example, do you want to buy a car? How much does that cost? How much do you need to invest today?What realistic returns can you expect from your investments? The next step in our beginner’s guide to investing in indian stock market is to determine the amount you will need to achieve the goals. You don’t have to be specific to the last penny, a broad range will also be sufficient. Taking a previous example “I want to buy a car worth 10 lac in the next 5 years” determines a specific goal as it shows a specific amount. On the other hand “I want to fund my child’s college education which will be around 15-20 lacs” is also a goal though, instead of specific amount it gives you a broad range of amount needed. Important note: While determining the amount needed, you must also take into account the inflation, as money loses its purchasing power with inflation. So assuming inflation is 6% per annum, if a car that you wish to buy costs around Rs. 10 lac today would cost you around 17.9 lacs 10 years later because of inflation. That is why, it is important to keep effects of inflation into account while calculating total amount needed. The third step in beginner’s guide to investing in indian stock market is to determine your risk appetite. Risk appetite is your ability to invest in risky assets. Different investors have different risk appetite based on their age, time horizon of investment, and their financial position. How long can you stay invested? Are you willing to take higher risk for potentially higher returns? For example, if your investment horizon is for 20 years, you can afford to invest in risky assets (such as small and mid cap stocks. ), but if your investment horizon is shorter, Let’s say less than 5 years, its better to stick to less volatile large cap stocks that provide consistent returns and dividends. Invest only the capital that you can park for longer term, avoid investing the amount in your emergency fund or the one which you will need in short term. If risk profile of an investment does not conform to your risk appetite, avoid investing in such an asset. In the second section of beginner’s guide to investing in Indian stock market is all about saving and educating yourself for your investment. Once you have set your financial goals and determined your risk appetite, it’s time to start saving regularly based on your investment goals. Also, educate yourself about stock market and principles of investing. In this post we will learn about how to save and how you can educate yourself about stock market. The above quote by Warren Buffett sums up the importance of saving beautifully. Savings to investing is like food for body. Without disciplined saving, it will be difficult to keep progressing towards your goals. There are many books on money and personal finance, but the one that I like the most because of its simplicity of rules is “The Richest Man in Babylon”, by George S Clason. 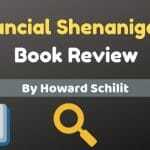 In this book author urges to save at least 10% of your total earnings. Most people find saving as boring or difficult, and to a certain extent, it’s true because rising prices and lifestyle changes, push us to spend even more. However, there are many ways you can still save money without killing yourself. One of the easiest ways I have found is to track your monthly expenses, find and eliminate the ones that you can live without. With small incremental changes in your spending priorities, you will be able to save sufficient amount for your investment. While tracking your monthly expenses, ask these questions to yourself. Was this expense really necessary? Can I do without it? What are some other expenses that I can cut down upon? All these questions will help you prioritise necessary expenses from unnecessary expenses and slowly will add more to your savings basket. 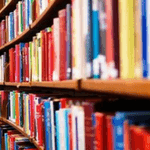 The next step in beginner’s guide to investing in Indian stock market is to educate yourself. While you are saving money for investing, use your spare time in educating yourself about stock market. By doing this, you will not only improve your understanding, but your knowledge and understanding will also act as an asset for lifetime. Read what some of the most successful investors in the world have to say. Understand their life journey, lessons they learnt and their principles of investing. 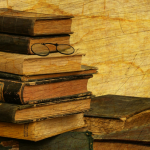 Reading books related to investment is the best way to learn, there are many classic books that you must read to have a good start such as. The Intelligent investor by Benjamin Graham. Quoted by Warren Buffett as “The best book on investing ever written” it’s a great book to begin investing in indian stock market . 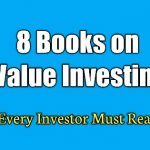 The book deals with many topics such as psychology of investing, how to value stocks, what makes a stock great, principles of value investing, and many great insights on stock market. One up on Wall Street By Peter Lynch: Peter Lynch is one of the best money managers in recent times. His investment approach is very basic and easy to follow, even if you do not understand much about stock market. Plus, it’s fun to read as Peter Lynch uses some humor to explain some very important concepts.. The Essays of Warren Buffett By Warren Buffett: The book has a collection of Warren Buffett’s annual letter to shareholders. The book is a compilation of lot of useful tips and advice for people who would follow his footsteps and make a fortune out of it. Extraordinary popular delusions and madness of crowds by Charles Mackay: By far the best book on psychology of investing. The book shares invaluable insights on herd mentality and how irrational behaviour of the herd can influence rational behaviour of a person. It discusses how rising price of tulip bulbs, and people invested their life savings thinking they will get rich overnight, but ultimately lost all of it. I would highly recommend reading this book as it has many great lessons from history that tell us why we should have an independent thinking and approach to investing. Fundamental analysis is all about analyzing the financial statements of a company and evaluating its past growth and future growth potential, and determining if the company is available at a fair value. It involves analyzing balance sheets, profit and loss statements, cash flow statements, and understanding the past performance and current value of the business. 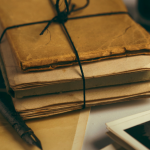 However, contrary to popular belief, fundamental analysis is not just limited too number crunching, you have to understand the business and its economic viability for many years to come. If you want understand fundamental analysis in detail, I have written a very detailed, Step By Step Guide to Fundamental Analysis For Beginners, which you can read for free! Always make sure to pick the right stocks based on your risk profile, if you are a risk averse investor, picking a high risk stock (even if its fundamentals are strong) would not be suitable for you as it may drag down overall performance of your entire portfolio. On the other hand, if you are an aggressive or high growth investor, picking a slow growing stock may lead to under-performance of your portfolio. The best way to measure how risky an investment is, by calculating its beta. Beta is the co-variance of a stock price compared to the benchmark index (such as Nifty). This may sound very complex to calculate, but you can easily find this number easily, just google “<stock name>” beta and you will get its long term as well as short term beta. Use long term beta as its less prone to frequent changes. The third section of beginner’s guide to investing in indian stock market deals with building a portfolio, and how to invest systematically and regularly in Indian stock market. 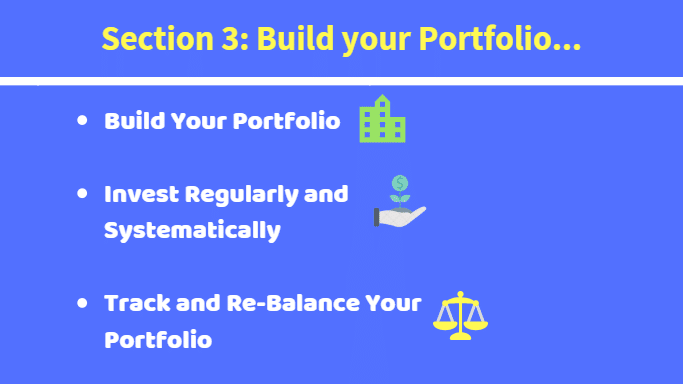 You will also learn how to track your portfolio and rebalance it. The next step while investing in indian stock market is to build your portfolio. If you are unaware of the term, portfolio is a group of stocks or asset classes that are designed to meet a specific financial goal. For example if your financial goal is to buy a car within 5 years, your portfolio will consists of stocks that are expected to perform well in the next 5 years. On the other hand, if your financial goal is to buy a house in the next 15-20 years, your portfolio will have slightly risky stocks at the beginning, which, going forward, will be replaced by less risky stocks, providing more safety to your investments. In order to build a portfolio, you must keep your financial goal and your risk appetite in mind, and prepare a list of stocks accordingly. For example, if your investment horizon is 5 years, which is considered as medium term, your portfolio must have at least 60% large cap stocks (large caps are usually considered safe), 30% midcaps and 10% small caps. 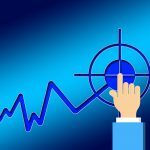 While large caps keep your downside risk checked, mid and small caps being fast growing companies, help in growth of your portfolio. Similarly, if your investment horizon is 20 years, in the beginning, you can increase the percentage of small and mid caps from 10% to 20% and 30% to 40-50% respectively. This is done to help you grow your portfolio faster as you can afford to take higher risks in the early years. As you proceed further, start allocating larger portion of your capital to large caps and reduce your exposure in mid and small cap stocks. While investing in Indian stock market, it is commonly believed that you need huge capital to begin investing in stocks. The truth is, you don’t. Even if you invest small amount of money regularly in stocks, over a period of time, it will become a huge corpus. For example, if you start investing with Rs.1,000 every month for 10 years, at 12% return (which is the average return of an index like Nifty) the total amount at the end of 10th year would be Rs. 2,27,141(Two lac Twenty One Thousand One hundred Forty One). Clearly, investing with consistency can also give you amazing returns. All you need to do is invest regularly, systematically and hold your stocks for long term. While its a good not to pay too much attention to your portfolio, it’s also a wise to keep track of your investment portfolio and compare them against benchmark and your investment goals. If your portfolio is under-performing against your benchmarks, find the laggard (stocks that are dragging your portfolio performance) and revisit their fundamentals. If the company has performed poorly, better get rid of such stocks and replace them. If your portfolio has outperformed your expected returns, its a good time to book profits and invest that surplus cash in a safer stock. Re-Balancing your portfolio is all about preventing your portfolio from being overexposed to certain stocks or sector. Every bull market is lead by a sector or a handful of stocks, which see a huge run in a short span of time. As these stocks see huge run, they start dominating a large part of our portfolio, exposing our investments to a single stock or sector. This may be dangerous because if the same sector or stock declines, your portfolio will see a huge loss. Let me give you a simple example. Lets say your portfolio is worth Rs. 100 and has three stocks A,B,and C. Your total allocation in each stock is as follows. Now, suppose Stock B rallies up-to 100% while other two (that is Stock A and Stock C) rally 30% each. As you can see, post rally in Stock B, your portfolio is dominated by Stock B which takes more than half of your total portfolio. In such case, if Stock B starts to decline, your portfolio will lose significant value, turning deep into red. To mitigate this risk of overexposure, you need to re-balance your portfolio by selling few stocks of Stock B and using the proceeds to invest in some other stock (or hold cash). This will not only bring more cash in your hand, but will also prevent your portfolio from negative surprises. The topic we are going to discuss about is hardly ever given the due importance it deserves while investing in Indian stock market, and that is the exact reason why most investors, despite having great stock picking skills fail to make money in the stock market. 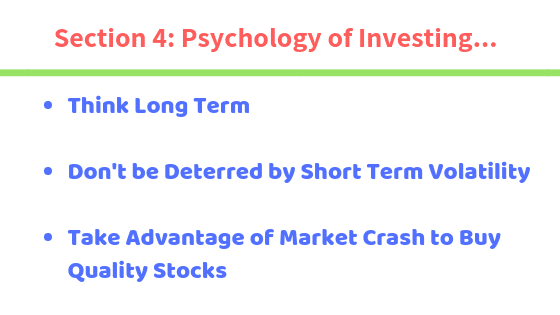 In this final section of “beginner’s guide to investing in Indian stock market”, we will discuss the psychology of investing. Whenever I ask people to invest for long term, they usually give a common argument? Why stay invested for long term when you can simply invest for short term and exit a stock booking profit. Also, since its difficult to predict long term fundamentals of a company, it seems logical to book profits and put cash in pocket. But if you look from another perspective, you will realize why it’s important to stay invested for long term. First, when you trade stocks, you have to keep continuously keep a close watch on the daily activities of the market, which may not be possible especially if you have to take care of your job or a business. Secondly, while trading stocks, in order to make decent profit, you have to be right most of the time, which makes it difficult to make money consistently for a long period of time. For example, let’s say you have identified a stock that you think will give you good returns in a week or a month. Firstly, you will have to wait for the right price to enter into the stock, if you miss those levels, you miss that opportunity. Even after entering the stock, you need to figure out the exact exit point, miss it, and you will end up with minuscule profit or even huge loss. On the other hand, when you invest for long term, firstly, you don’t have to track stock market on a daily basis. Secondly, when you invest for long term, the power of compounding works in your favour, and your investments keep growing over a period without any intervention from your side. I have already written a detailed post on Reasons Why You Should Invest For Long Term. I am sure it will encourage you to invest for long term. Its common among small investors to panic if the market shows high volatility, what you must remember is that in the short term, prices are driven by demand and supply, but in the long term, it is the underlying fundamental of the company that determine the real price of a stock. As a long term investor, you must use short term volatility to buy quality stocks at a discount, rather than being carried away by the emotions such as fear, panic and greed. The rules of investing in Indian stock market, or, any other stock market for that matter, is no different. They are universally applicable, but are seldom practiced as most investors are unable to maintain the discipline needed and get emotional, which leads to making irrational decision making, leading to losses. Use market volatility to your advantage and buy quality stocks when they are available cheap. So that concludes our post named “Beginner’s Guide to Investing in Indian Stock Market” hope you found this post useful and enjoyable.